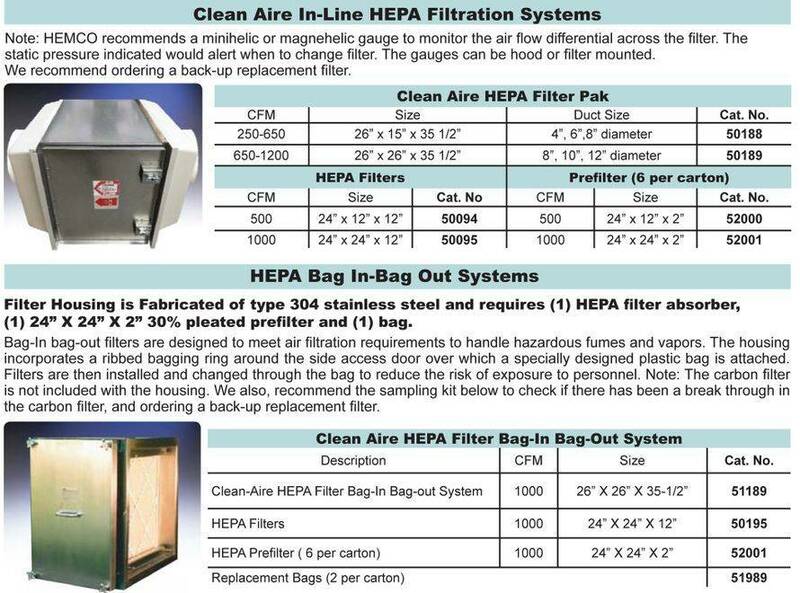 CleanAire HEPA and Carbon Filter Paks are designed to be mounted inline in the exhaust ducting from a fume hood or contaminant source up to 1500 cfm. 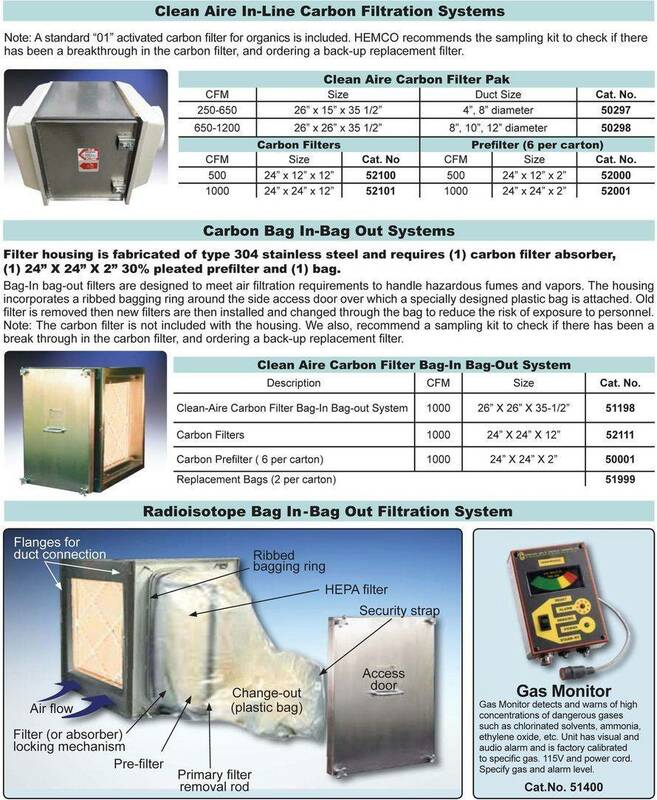 The filter pak includes a galvanized steel housing with hinged and gasketed access door for filter change-out and molded composite resin inlet and outlet plenums with duct connection collars sized to meet specification. Both filters include a 30% pleated prefilter and can be paired together for applications that require particulate and fume removal.